1,482 people trained directly, of which 90 NGO/MFI staff and 473 underprivileged people and 483 migrant workers. 8,250 people trained by organisations we trained. Around 39,000 people reached as participants share with their colleagues and families (and often friends) what they have learned. migrant workers: Hong Kong’s economy relies on hundreds of thousands of migrant workers mostly employed as domestic workers who secure a job in Hong Kong by taking a loan back home and with high expectations from their families. After several years in Hong Kong, many are still in debt and find it very difficult to control spending, manage remittances and save to prepare their return home. Our workshops include technical content (budget, getting out of debt, saving…) but also communicating with family and supporting them in a sustainable way, setting goals and setting up a business. 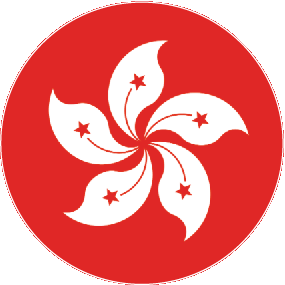 Enrich, was born in 2007 as a spin-off from a+b=3, to better outreach migrant workers in Hong Kong. Since its creation, Enrich has run a+b=3’s financial literacy and entrepreneurship programmes to more than 5,000 Migrant Workers, mostly Filipinas and Indonesians. In 2015, Enrich launched a new programme on family and money designed by a+b=3. Read more. The Women’s Foundation, Hong Kong. We developed a programme on “Personal Enrichment” combining confidence and financial literacy and a programme on “setting up a business” for low income Cantonese women and new arrivals. Read more. IKTMC: needed a specific financial literacy training for their high-schoolers and parents in line with Islam. Read more.